Little Pizza Paradise Pizza and Ale House (one of the best names for a pizza joint around) provides a welcome local option at the north end of Bend. Located in the Cascade Village Shopping Center, their pizzas are cooked on an authentic stone deck oven, in their opinion, the only way to get “that perfect crust”. They pride themselves on using what they say are the finest, freshest and tastiest premium quality ingredients. 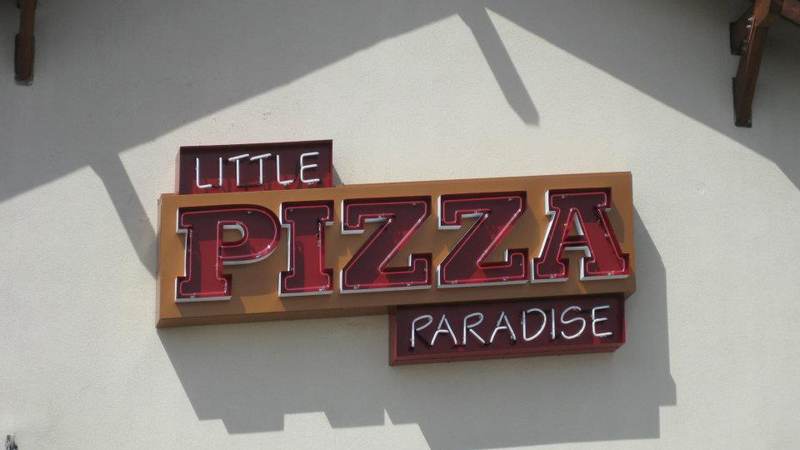 Owned and run by ‘Pizza Pete’, Little Pizza Paradise features one of Bend’s best beer offerings including 20 taps and 25 plus bottle and can selections from their “Wall of Beer”, along with numerous cider and wine options. And, because you can hardly go anywhere in Bend without it, they offer some of the only growler fills that far north, and beer to go, too. Online reviews are fairly consistently positive and Pete tries to accommodate alternative dietary needs. Guests like the seasonal outside seating.